Rajasthan Governor Kalyan Singh was today sworn in as the 24th Governor of Himachal Pradesh. 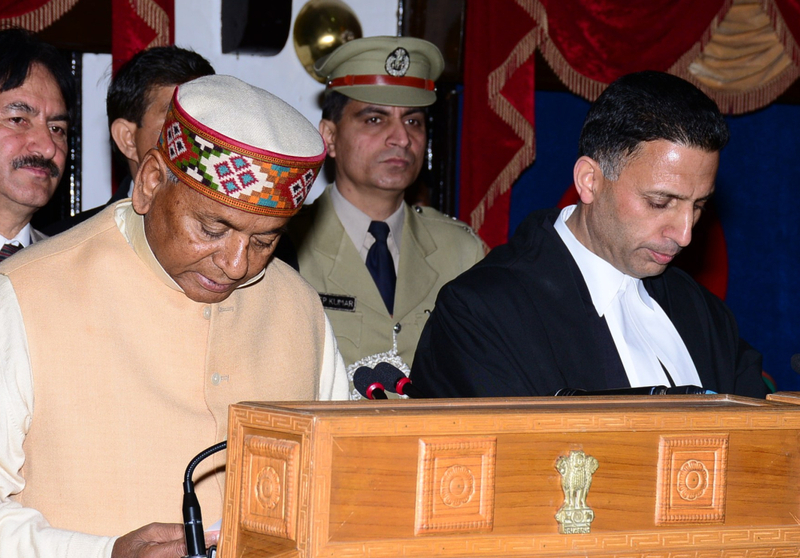 He was administered oath of office by Himachal Pradesh High Court Chief Justice Mansoor Ahmed Mir at Raj Bhawan. P. Mitra Chief Secretary read out the warrant of appointment. 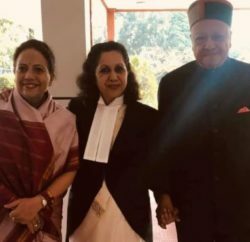 Kalyan Singh has been given an additional charge of Himachal Pradesh after Urmila Singh, who completed the full five year term as Himachal Pradesh Governor on January 24 was given a warm send off at the Raj Bhawan yesterday. Chief Minister Virbhadra Singh, Leader of Opposition Prem Kumar Dhumal, Cabinet Ministers Vidya Stokes, Sujan Singh Pathania, Dr. (Col.) Dhaniram Shandil and Prakash Chaudhry, CPS Nand Lal, MLAs, Judges of H P High Court, Bhim Sen, Chief Information Commissioner, T.G. Negi, State Election Commissioner, Lt. Gen B S Sachar GOC-IN-C ARTRAC, former ministers and former MLAs, Vice Chancellors of Universities, Sanjay Kumar DGP, Additional Chief Secretaries, senior officers of State Government were also present on the occasion.